The latest object of my gadget lust is just a battery. A big battery. A big battery with a couple of wheels attached. 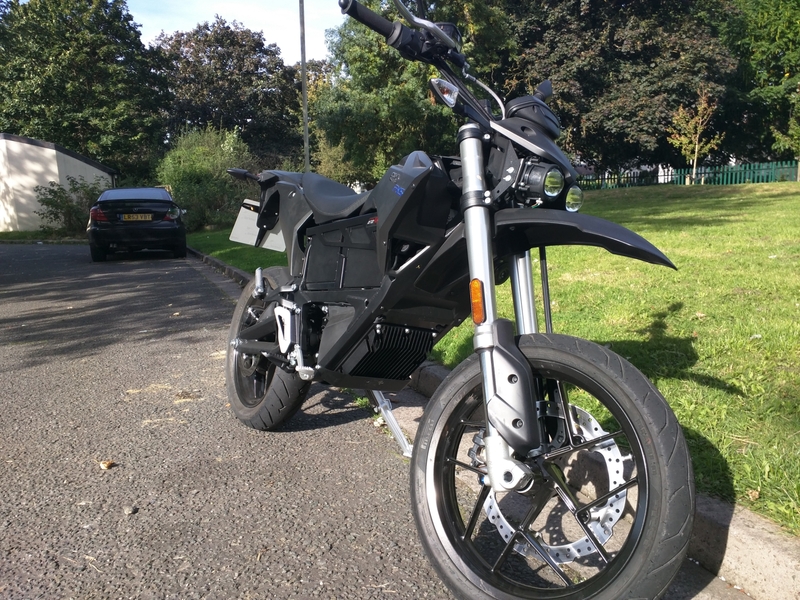 Sometime around 2012 I took a test ride on a Zero S electric motorbike. I was really impressed by the power delivery and handling, but I seem to remember the price at the time was about £12,000 and the range was (at best) 114 miles. Power isn’t quoted, but I believe you can ride these on a UK learner licence, so not that much on paper. The style was OK but ordinary. It wasn’t really ready to be a replacement for a petrol bike. It was definitely something I was going to keep an eye on though. Electric bikes were the future, but not quite the present. The SR may be the flagship model but I have always liked supermotos since the days were you had to make your own. Over the years I’ve had a home converted Honda XR650, lethal Yamaha YZ250, KTM Duke and currently an Aprilia Dorsoduro. The electric model that really appealed to me was a Zero FXS. The ZF6.5 version has less power (44bhp) less range (90 miles) but with less weight it had the potential for more fun on my short commute to work. List price had increased to £10,500. 21st Moto didn’t have a demo one. Daytona Motorcycles did, but due to the fact they lost their trade plate (literally – it fell of a bike) it took me about 5 weeks to try one out. It was worth the wait. I was impressed! It really didn’t feel like it only has 44hp. Electric motors deliver all their torque from zero rpm so there is as much as you need from low revs. In fact the power delivery needs to be restricted low down the rev range so that you don’t flip the bike. It feels like a much larger engine, only running out of puff a bit as you get to higher speeds. The handling is great. A had a good 45 minute test ride covering high-ish speeds (85mph) and deliberately filtering through awkward and annoying traffic too. Hooked! It’s not a motorway or long distance bike but that doesn’t appeal to me anyway. It’s a great backroad and commuting tool. I had a quick 15 minute go back-to-back with their DSR. It’s a dual sport with trailie wheels but has the same engine as the SR I was considering. Whilst the extra power and range is of course nice, it’s not worth the extra to me. So the big question – am I going to buy one. The answer is yes, but not just yet. The 2017 models are about to be announced. When I rode it the UK zero emission plug-in grant was still “almost here” as it had been for years. This could be a few thousand pounds so worth waiting for if it wasn’t too far off. Also, we might be moving house soon and a bike purchase might have to be bumped down the list. Since my test ride the grant has actually been announced! It’s as part of the £35m zero emission package but it should mean £1500 off the list price of a Zero. Zero will have to register for this, so no exact date when it will actually happen. Maybe with the new 2017 models. A zero FXS will definitely be my next bike, but probably sometime in 2017. ANOTHER UPDATE: 17 Dec – I just ordered one! It seems that the grant starts in 2017 but doesn’t just apply to 2017 models. The FXS hasn’t changed much and with Zero giving another £1500 off the last of the 2016 models, out was an offer I couldn’t pass up. The full list price is £11,390 but £8,390 is far more reasonable. Should have it by mid January. 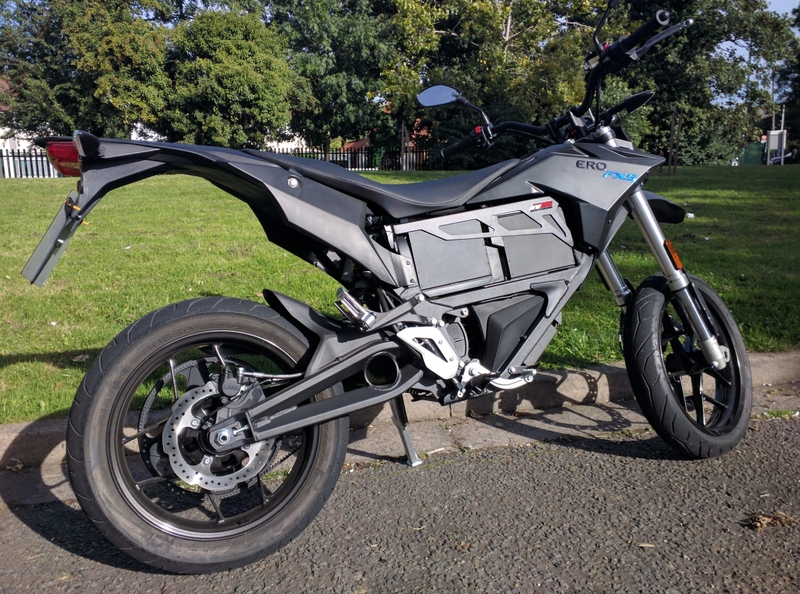 This entry was posted in Electronics, Motorcycles, Uncategorized and tagged electric motorcycle, Zero by 0xfred. Bookmark the permalink.